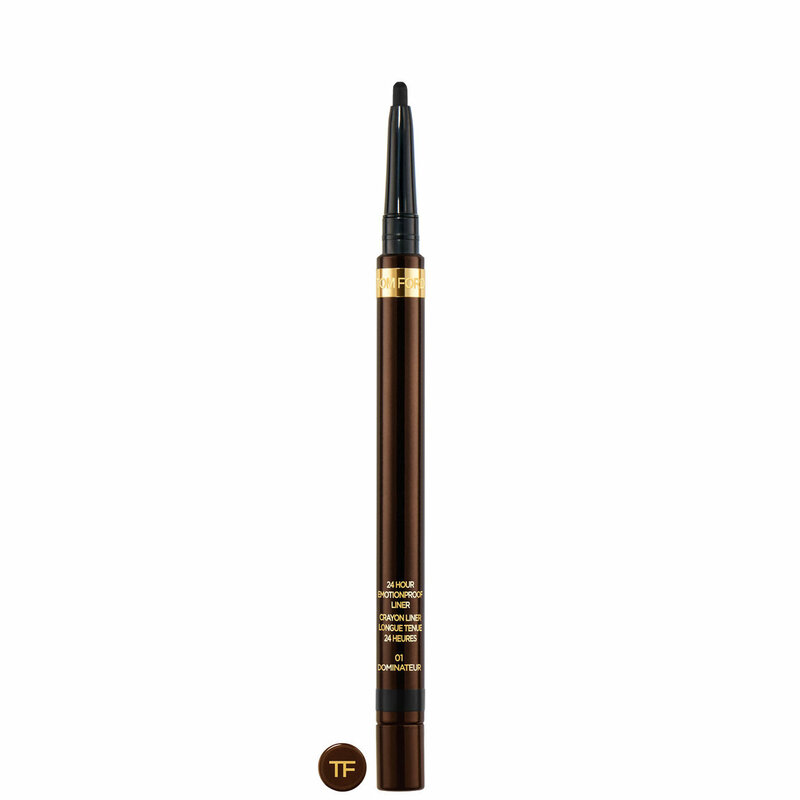 Intense and richly pigmented Emotionproof Liner is where luxury meets high performance. An extremely long-wearing retractable eyeliner with up to 24 hours of wear, in shades designed to complement TOM FORD eyeshadow, glides effortlessly onto lids without tugging for gorgeous color payoff. Waterproof, non-smudging, transfer-resistant, humidity-resistant and designed to stay put, the Emotionproof formula is truly ready for any situation. Ophthalmologist-tested. If desired, gently sharpen pencil lead using the built-in sharpener. Glide liner along the lash line.